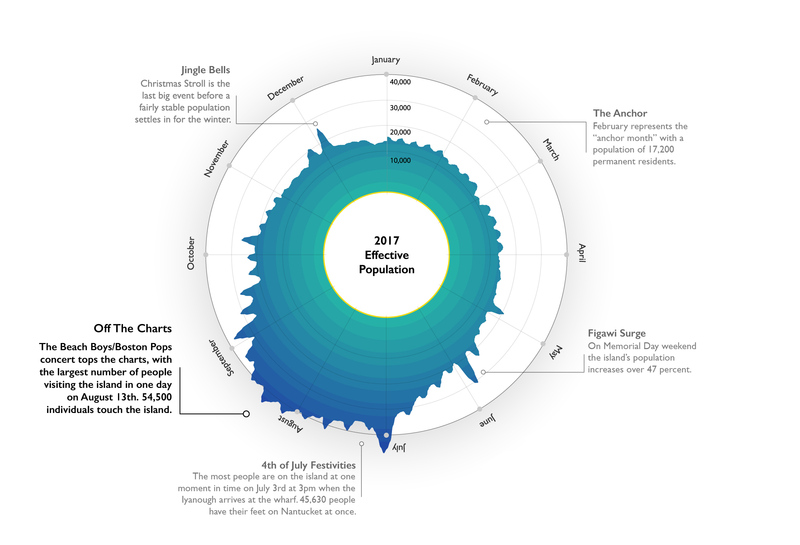 The radial chart starts with the permanent population of 17,200 in February. The dips show when people leave, and the high peaks show major weekend events. The peak season climaxes mid-August, with the Boston Pops playing on the beach. Weekend activities such as weddings are apparent until October, when tourist activity subsides for the fall. Christmas Stroll is the final fluster of activity, with a population increase of around 25%. The data includes the activity of ferries, major airlines, private boats, and private planes using general aviation at the airport.